The key played an important role for the Etruscans and ancient Egyptians. They used it as an amulet, believing that it would bring them wealth and help them keep everything they had earned. Newest materials as well as materials on Keys. 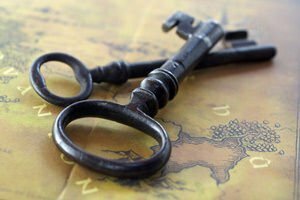 Read about stories, mysteries and convenient advice when it comes to Keys. Get the newest reports and publications on Keys.